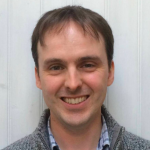 Dr William Barras completed a PhD in Linguistics and English Language at the University of Edinburgh in 2011. His thesis focused on the sociophonology of rhoticity and r-sandhi in East Lancashire. He has postdoctoral research experience as a Research Assistant at the University of Aberdeen on the Fisherspeak project, which investigated lexical attrition in Scottish fishing communities, and as a Research Associate at the University of Manchester on the Leverhulme-funded project Regional Identity and the Indexical Field. He has taught at the Universities of Aberdeen, Edinburgh and York. Before returning to postgraduate study, he worked as a teacher of English at Dallam School in Cumbria for five years. He thinks that the teaching experience he gained as a secondary school teacher is useful for university teaching too. He was nominated in 2014 for the "Extra Mile" award in the AUSA Student Choice Awards, and in 2014 and 2015 for the College of Arts and Social Sciences Excellence in Teaching Award. His research focuses on several related areas including sociolinguistics, dialectology and phonological theory. He is currently developing a sociophonetic research project which aims to trace phonological change across the lifespan in an individual speaker. David Warren. Thesis title: The Scottish Vowel Length Rule in North East Scotland; Viva passed in May 2018. Nawal Shekar (co-supervised with Prof Hazel Hutchison). Thesis title: A mystic's path: A cognitive linguistic analysis of the short fiction of Kate Chopin; Viva passed in August 2017. LN1003 English Structure and Use: I was course Convener, gave 60% of the lectures and managed a team of tutors. LN1501 Communication and Language in Contemporary Society: I was Course Convener and sole lecturer; I also took a tutorial and managed a team of tutors. LN2509 Varieties of English: I was Course Convener and sole lecturer. I took a tutorial and worked with a tutor who took the other three tutorials. LN4002 Research Methods in Language and Linguistics: sole lecturer. LN5519 Advanced English Structure and Use: sole lecturer. I was also the course organiser for LN4501 Dissertation in Language and Linguistics and supervised a wide range of student projects. I also taught a week of EL5092 Approaching Literature, and co-led a workshop as part of the Research Gym series for postgraduate students in the School of Language, Literature, Music and Visual Culture. I continued as the Undergraduate Programme Convener for the MA in Language and Linguistics. I am the Linguistics Pathway Representative for Aberdeen in the Scottish Graduate School of Social Science. I am the Undergraduate Programme Convener for Language and Linguistics in the School of Language, Literature, Music and Visual Culture.